Born in manufacturing, the concepts of Lean are now the go-to model for workplace efficiency and management across various industries. This model is so practical and effective that many Kettering University Alumni who took the course Online report using Lean concepts to re-design their kitchens and re-organize their garages! Womack, Jones, and Roos, in their groundbreaking book, The Machine That Changed the World: The Story of Lean Production: Toyota’s Secret Weapon in the Global Car Wars That is Revolutionizing World Industry, highlight the five basic Lean manufacturing concepts, which are defining value, mapping the value stream, creating flow, establishing pull, and striving for perfection. In order to be successful, every company, regardless of industry, must understand what customers and clients value in their products and services. While students are not truly “customers” they are vital stakeholders in the education process. 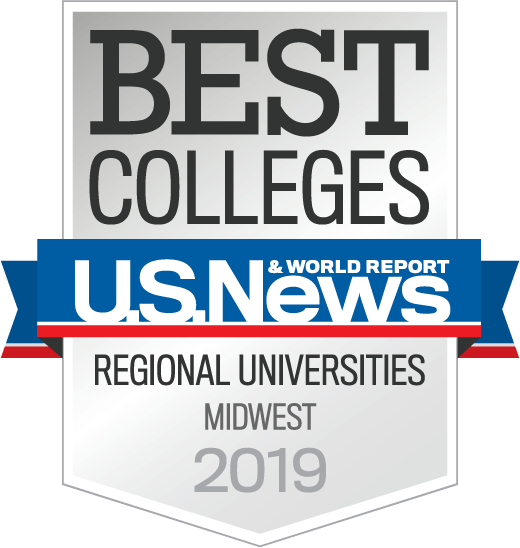 Data provided through a combination of ongoing quantitative and qualitative research efforts continually points to the fact that Kettering University Online students value convenience, flexibility, cost, and the high level of academic rigor Kettering University offers. Japanese industrial engineer, Shigeo Shingo, once said, “The most dangerous kind of waste is the waste we do not recognize” (Wheeler, 2016, para. 2). Before identifying waste, companies must be clear about their value stream. The value stream is the complete flow of a product’s lifecycle from the origin of the raw materials used to make the product through the customer’s cost of using, and ultimately disposing of the product. Once a company understands the value stream, they can clearly identify where in the cycle of activities there is a value-add and where there is a waste. In other words, once waste is identified efforts to remove it can begin. The Kettering University Online Course Development Team strives to deliver value to students by designing courses to fit their busy lives and meet the demand for the skills necessary to advance their careers. Learning resources are a good example of implementing a Lean concept to avoid waste. High-quality, relevant resources, authored by academics and industry experts, are carefully selected and curated to save students time while delivering the information needed to complete assignments efficiently. Nearly 100% of required textbooks have an e-text alternative which means a student can access his or her book as soon as they pay for it with a credit card. In some cases, no books are required as students use only journal articles. This allows for a no-cost alternative for students and yet provide the latest research in subject areas. The course development process is much like a high-tech assembly line. The subject-matter expert creates the course content then the instructional designer organizes it. Next, a review team edits the course content. The subject matter expert works with the Creative Media Team to develop short modules. The learning management coordinator then builds the course content in Blackboard. Along the way, the course goes through several quality assurance reviews by the team, subject matter expert and the faculty who will teach the course. Finally, students interact with the course content. Typically, when thinking of waste in terms of lean, one can imagine a pile of useless parts in the corner of a factory floor, but there can also be the waste of time, energy, movement, and money. For example, each member of the course development team is encouraged to deliver the best work possible. This minimizes the need for the repeated quality assurance reviews and corrections. Another Lean concept preventing waste of time is the notion that each employee is an expert in their particular content area and, as such, has the authority to make decisions. The flatter the organization, the more decision-making authority can be spread out. This saves time because people do not have to wait for decision-making from others in the lines of authority. Each person on the Course Development Team has authority, within his or her area of expertise, to make independent decisions and, as a result, issues are addressed quickly, and corrective actions initiated immediately. “The lean focus on removing waste creates a learning environment for everyone. It leads to great teamwork, which in turn, creates a great atmosphere. The focus on being responsive to customer needs naturally builds a customer-centric organization where everyone is participating” (Byrne, 2013, p. 29). Bruce Hamilton, President of the Greater Boston Manufacturing Partnership (GMBP), notes “continuous improvement is not about the things you do well – that’s work. Continuous improvement is about removing the things that get in the way of your work. The headaches, the things that slow you down, that’s what continuous improvement is all about” (LeadingEdgeGroup, 2014, para. 2). Quality Assurance reviews for all courses demonstrates Kettering University Online’s commitment to continuous improvement. Other examples include student evaluations, faculty evaluations, and reviewing links in every course before each term ensuring students experience the value they demand. Incorporating Lean concepts into the course development process leads to higher efficiency, elimination of waste, and a superior student learning experience. The goal of Lean is continuous improvement, which means creating value in the products and services used by customers, while simultaneously eliminating waste and removing potential defects. The Lean philosophy places high importance on completing the finished product at the lowest cost possible thereby benefiting the end-user. Enrolling in the Master of Science Lean Manufacturing program from Kettering University puts you in the company of like-minded professionals who are highly motivated to catapult their career. Applying process analysis, methods improvement, work measurement, and waste reduction techniques to meet competitive goals. Join a program that will not only change your career but your life: The Master of Science-Lean Manufacturing at Kettering University.